Hello everyone! I hope the holiday season is treating you all well. Have you had a chance yet to watch the new video the church put out, “He is the Gift”? If you haven’t, stop reading right now and go look it up on YouTube! You will not regret it, promise. The investigators we are teaching are still doing well, but no real new progress to report on. We weren’t too sure where we stood with Adriana for a while because she wasn’t returning our calls or texts, but it turns out that she had lost her phone. Whew! She’s trying to decide right now about whether to go ahead and get baptized this Saturday, or wait until she is home in California to do it. Her dad and uncle are both active members, and they naturally really want to be there when she gets baptized. We told her that the choice was totally hers, and we actually feel that doing it down in California with her family might be best and make it special for her. We shall see! Karen still hasn’t set a date, but we also dropped the ball on talking to her about it this week… oops! We taught her about prophets again this week, and she seemed to have a much better understanding by the end. Mary and Jessica, who were baptized two weeks ago, are still doing well. The ward mission leader in 4th ward picks them up for church every week, which is awesome. One of the less-actives that we are working with in 4th ward, Becky, received a priesthood blessing this week. It was so great! 1) If you ever think it’s a good idea to rehearse a musical number over Skype… it isn’t. 2) If you ever think it’s a good idea to volunteer to host 6 other sister missionaries for a night… it isn’t. 3) If you ever think it’s a good idea to share one bathroom with those 6 sister missionaries… it isn’t. 4) If you ever think it’s a good idea to individually cut out over a hundred paper ornaments… it isn’t. 5) If you ever think it’s a good idea to schedule four lessons back to back with no allowance for driving time… it isn’t. 6) If you ever think it’s a good idea to do ALL of the above things in one day… it isn’t!!! It all worked out though thankfully! Wednesday night before zone conference, Sister Randall slept in a teepee that the our host family set up in the living room (it’s been a lifelong dream of her’s to sleep in a teepee, bahaha), and I slept on the couch. We left Missoula Thursday morning around 5:30am so that we could arrive in Helena on time for the Christmas Zone Conference. The meeting was so wonderful! Music was a huge part of it. I was the resident pianist for most of it too. I played during the choir sectional practice, played for one of the actual choir pieces, played for a musical number, and played for a congregational hymn. Whew! I really enjoyed it though, and it definitely helped me feel the Spirit. Another highlight of the conference was the picture slide show. They had us all submit “Book of Mormoning” pictures which they showed first, and then they showed all the childhood Christmas pictures for each missionary. 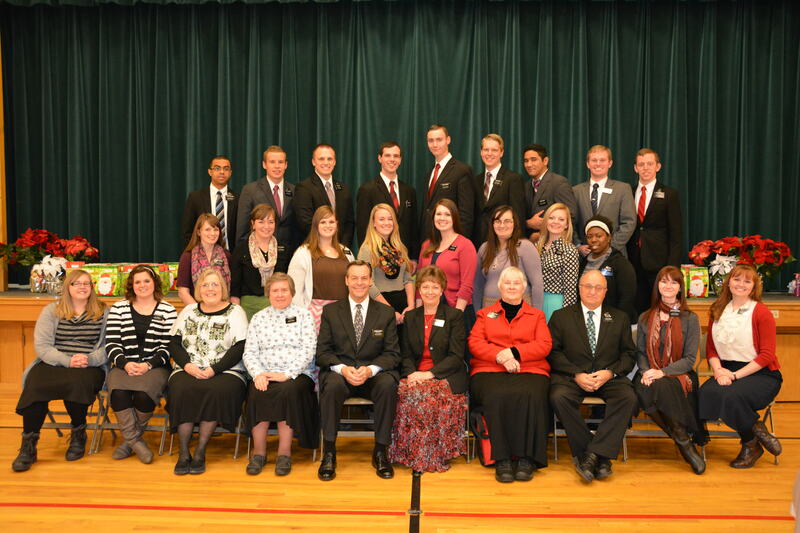 I really enjoyed it this year in particular because I finally know a decent number of missionaries! During the lunch hour, I got to see a bunch of friends that I hadn’t seen in a while. We also got to read the letters from our families- thank you all so much! I was really touched reading each of your testimonies. 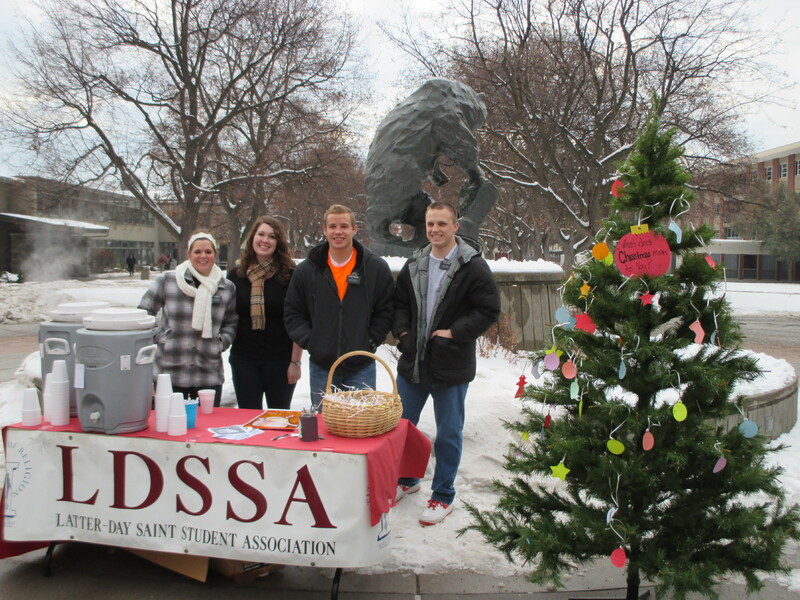 On Friday, we did our “cocoa the campus” event by the Griz statue outside on campus. We had free hot chocolate that we were handing out, and we also had people write on a paper ornament what Christmas meant to them and hang it on a Christmas tree. It was a great success! 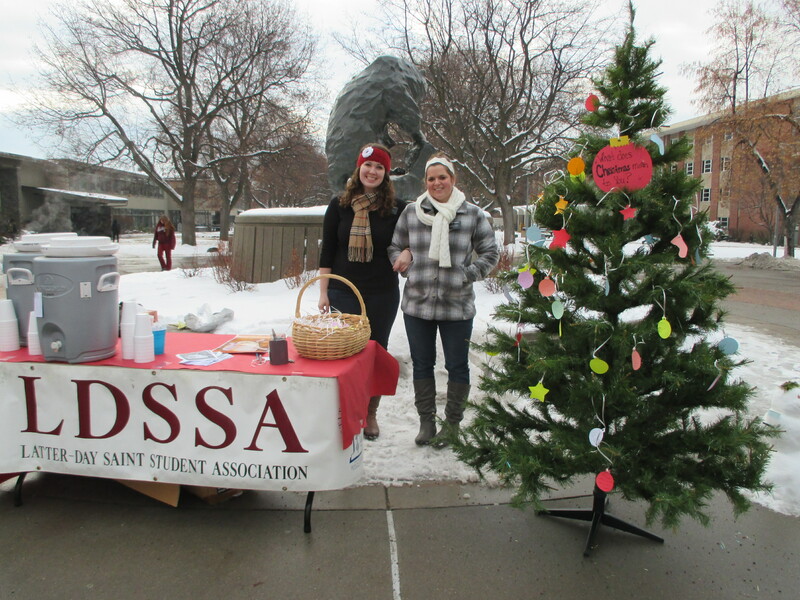 The snow was the perfect type for snowmen, so the elders built one during the event and put it by the Christmas tree. There were also other snow sculptures on the oval by students that were pretty impressive! My favorite was the massive Jabba the Hut that someone made. We did more Facebook exchanges this week too, and those all went well. I’m woefully behind on submitting my paperwork for them all… oh well. I much prefer the “ministering” part (working with people) of being a missionary to the “administration” part (aka paperwork and numbers). 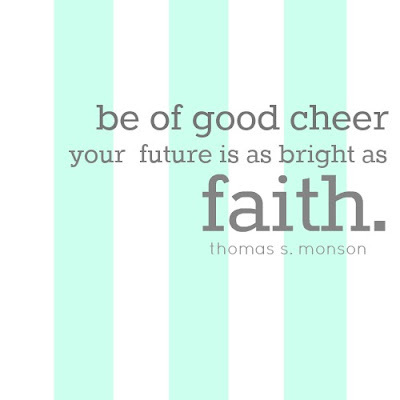 We had another stake conference this past weekend, because they called a new Stake President. Elder Fallabella from the Seventy came and spoke, and it was great. We also met the new counselor in the Mission Presidency, so that was cool. Poor Sister Randall has been sick since Thursday with a cold. My immune system is still holding up strong, so hopefully I don’t catch it. Well, that’s about it for this week! I hope you all are enjoying this Christmas season. Stay warm and safe! I love you!! !